Dieting and working out are great for our bodies and health, but no matter how hard we work, there are certain areas that won’t just go away. 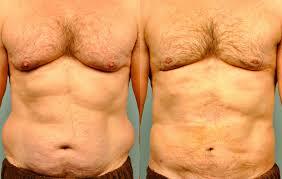 We are talking here around love handles, muffin tops, bat wings, jowls or saddlebags, which ruin the way we look. It is actually disappointing to know you tried so many diets and did your best to achieve a great looking body, not being able to manage to get the body you hoped for. Thus, most women start to lose their self-confidence, to be embarrassed about the way they look, and not feel comfortable about their own bodies. Perhaps all women should know about a technique called Smart Lipo Triplex, which will melt fat and tone the tissue, making the body look amazing, with no pain and minimum downtime. What is Smart Lipo Triplex? Smart Lipo Triplex is actually lipolysis that is assisted by laser. A small cannula, or tube that has the size of a pen’s tip, is inserted under the skin, guiding the laser beams exactly where they are needed. Under the heat of the laser, the fatty tissue breaks, turning into a liquid that is then gently suctioned from the body. Also, besides melting fat, the laser will also stimulate the skin’s collagen production, which will lead to a firmer skin, without a sagging effect after the procedure. There are three different wavelengths of the laser that performs the treatment, which means that your doctor can customize the treatment according to your needs. As mentioned before, this treatment will use the energy of laser to melt stubborn fat deposits that did not answer to any diet or weight loss method. In a way, it is similar to liposuction, because it will immediately remove the melted fat tissue from your body. But on the other hand, Smart Lipo Triplex is completely different from liposuction because it does not involve painful recovery periods, it is done with minimum invasion, and you will be back to your regular activities in no time. Also, after a regular liposuction treatment, most patients have to deal with sagging skin, which will also have to be removed surgically, as it looks unaesthetic. With Smart Lipo Triplex, this problem does not exist, because the skin is toned by stimulating its natural collagen production. After the procedure, you will love the new body you have. There will be no unwanted fat deposits and no sagging skin. You will enjoy a beautiful shaped body, with a tight and toned skin, and ready to wear the clothes you love most. The invasion is minimal and so is the downtime, some patients requiring no downtime, while other may require just a couple of days to be fully recovered and back to their day to day activities. If you didn’t want to do liposuction because you were afraid of the procedure and the after period, now you know there is something simpler and pain-free. How much will it last and is there any downtime? The treatment depends on how many areas of your body you will want to treat. You can use Smart Lipo Triplex for treating your jowls, neck, thighs, stomach, chest, and face. Also, each treatment will have to be addressed according to the severity of the situation. So it is best to schedule an appointment with one of our doctors, as they will personalize the treatment according to your needs. The downtime will be maximum a few days, in some cases not being necessary at all.